The Museum’s collection of European Cold War jets is one of the most comprehensive collections in existence. With several aircraft maintained in ground running order, visitors often comment on how authentic this collection is. The opportunity to acquire ex military jets is a long and complex process, so we are thrilled today to announce the official signing of a unique transfer agreement that will bring a French nuclear bomber to the Museum. It was announced today that the French Minister of Defence in Paris, M. Jean-Yves Le Drian, has formally signed the transfer agreement of a huge Dassault Mirage lVA jet aircraft to the Allied Air Forces Memorial & Yorkshire Air Museum based at Elvington, near York. This is the first time that a strategic nuclear bomber has been gifted directly to an independent Museum of a different nation, and reflects the reputation of the Museum/Memorial and its close connections with the French Air Force, being the former location of the only two French heavy bomber squadrons of WWll, with over 2300 French airmen based there during the war. The huge delta winged Dassault Mirage lVA is 23.5m (77′) long and 11.85m (39′) wide. It weighs 31 tonnes and flew at speeds up to Mach 2.2 about 1,100 mph (2124kph). 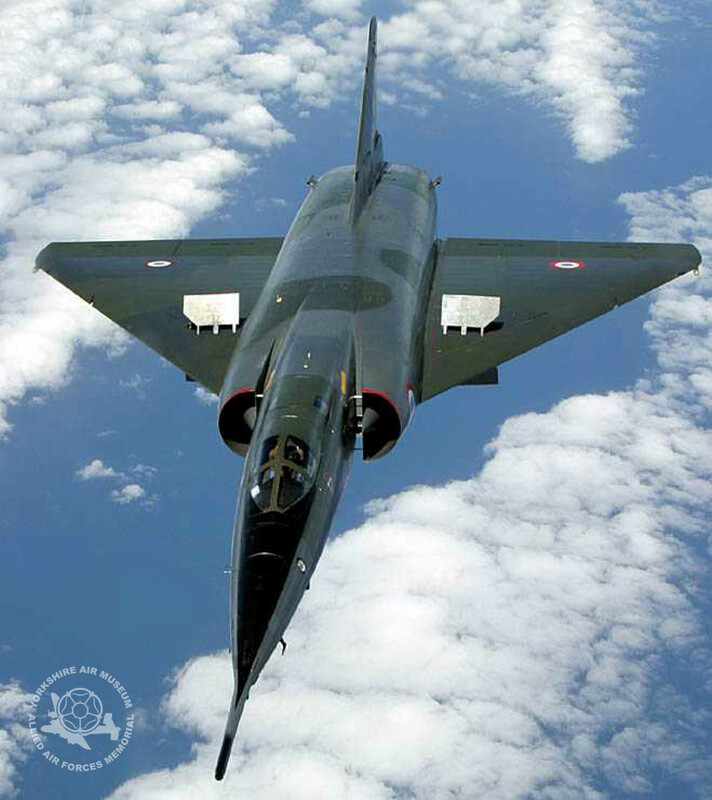 It will be the only Mirage IV on display in Britain and it is hoped the aircraft will be delivered to the Yorkshire Air Museum at Elvington soon. The aircraft destined for display at the Museum was originally on display at the huge Cité des Sciences Museum in Paris (Europe’s largest science museum) as France’s iconic super jet. The huge aircraft is currently at an air force base near Paris and is likely to be shipped over to Britain where it will be re-constructed on the site of the former French air base at Elvington. Once transported to the Museum, the Mirage IV will sit alongside our other Cold War aircraft and complement our Mirage III fighter, plus our Victor and Nimrod jets. The Mirage lVA was a magnificent aircraft. Perhaps what the Fairy Deltas 1 and 2 might have become? I am still trying to find out when the french nuclear bomber is going to be displayed at Elvington. Can you please advise me when convenient. Thank you. Just as soon as we have more information, we will let everyone know. We are just waiting for the final paperwork to be cleared now. We are in belgium also interested to receive 1 or more beautyfull and legendary MIRAGE IV to our museums. Can u tell us who to contact and how the proceduers go? We have indoor and outdoor locations in Belgium wich are good for displaying a MIRAGE IV, the distance to Châteaudun in France is closer than UK and can be done directly by road. Can U help us please? Hi Rembrand. As you’ve probably read, it took the Museum ten years of negotiating to achieve this, so it’s a long journey. Good luck with your project!